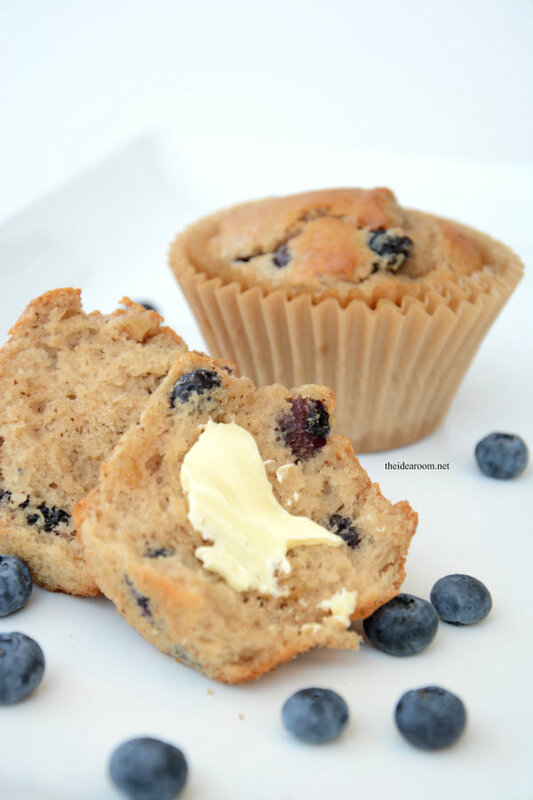 My kids love quick breads and muffins. So when I bake them, they usually don’t last very long. 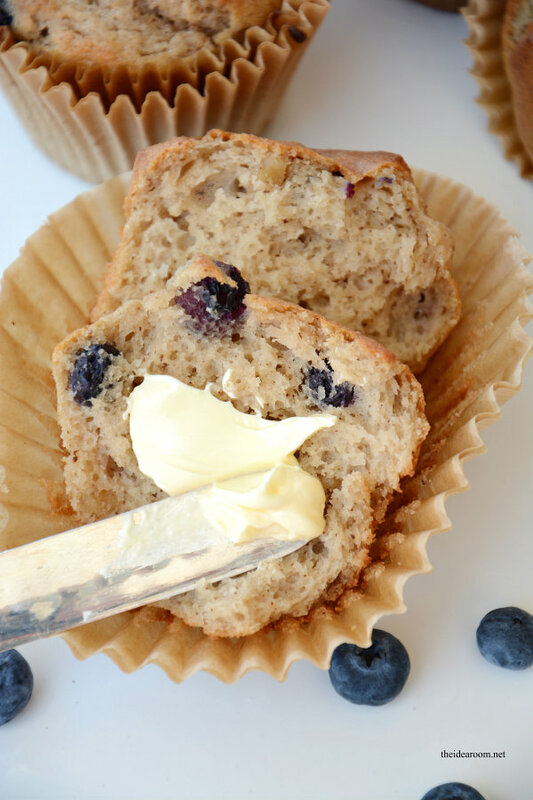 I have always wanted to try making some Banana Blueberry Muffins, but have never tried them…until now. They are so good and I really like the flavor combination of the two. 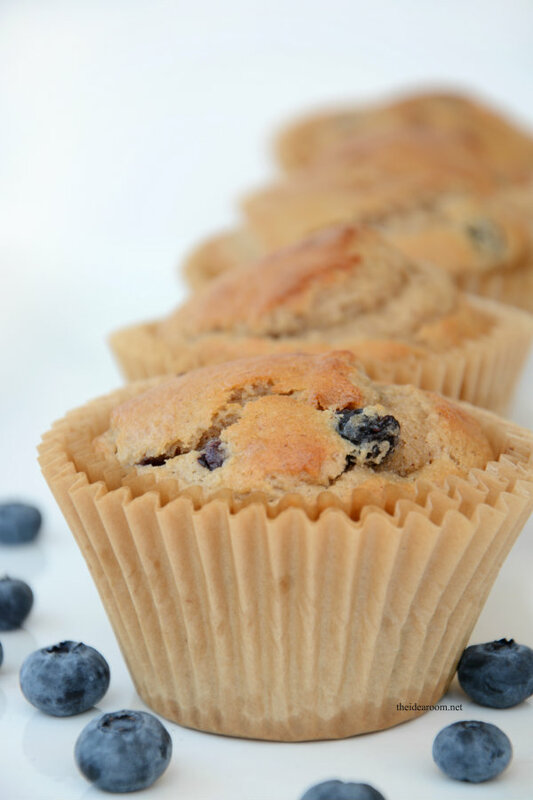 We love banana muffins and blueberry muffins, so it only makes sense to combine the two in one delicious muffin! I used some fresh blueberries that I had picked up recently from the grocery store because they were on sale. I wish I had a blueberry bush in my yard because I love them. You could also throw in some fresh (or frozen) raspberries in place of the blueberries or a combination of the two. 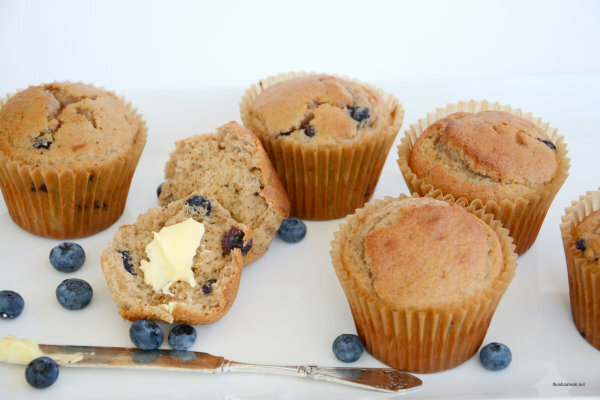 These muffins taste even better still warm (or warmed up) with some delicious I Can’t Believe It’s Not Butter. 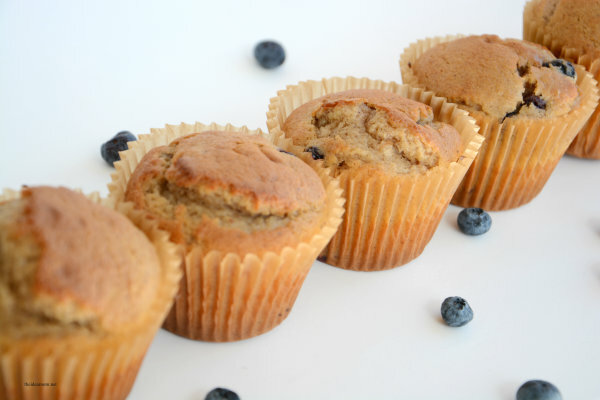 Like many others, I try to find healthier ways to feed my growing family. We aren’t always perfect but we are constantly trying to make better choices. We used to avoid eating fats of any kind and we are now realizing that there are good fats which include essential fats that are important to get in your every day diet. Not all fats are created equal. 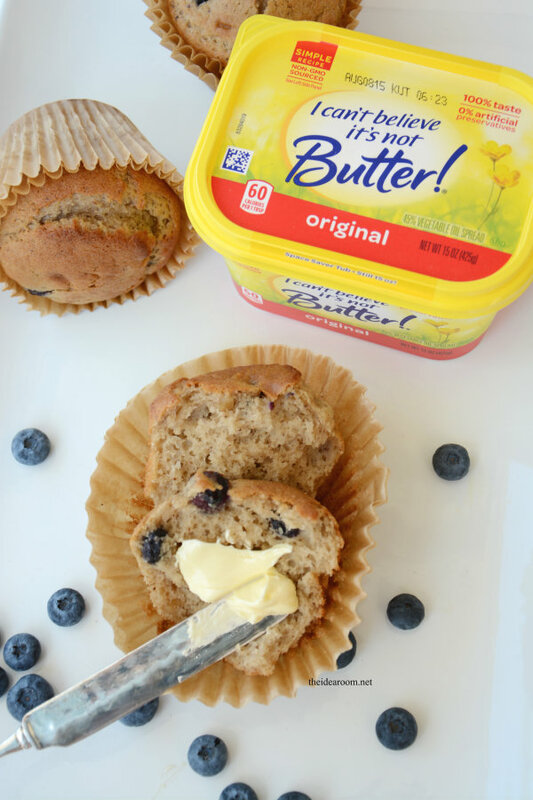 Saturated fats and trans-fats are the types you should still avoid, but unsaturated fats, like those found in I Can’t Believe It’s Not Butter, are good fats. Good fats are a source of energy and essential fatty acids your body can’t produce on its own. Multiple studies show that reducing intake of saturated fats in your diet and replacing them with a similar amount of good fats (monounsaturated & polyunsaturated) may help reduce the risk of heart disease. I Can’t Believe It’s Not Butter sheds light on the sources of good fat and how to get more of it into your regular diet. The following are considered the Good Fat 5 and should be a regular part of your daily diet. 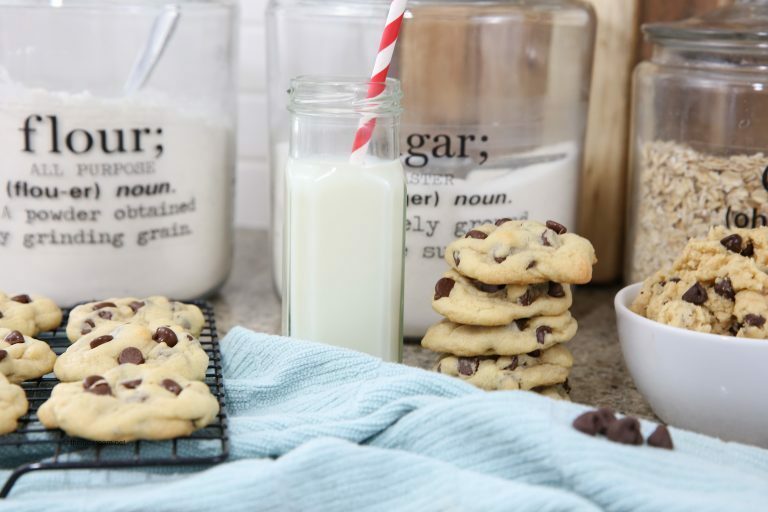 I am sharing this recipe in a fun collaborative article on Aol. Be sure to check it out along with some other great recipes and ideas! I never knew this was possible, Joanne!!! How amazing! Thank you!